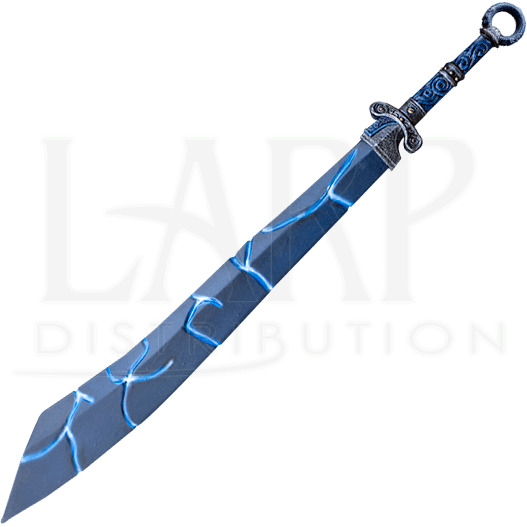 Extra-dimensional weapons such as the Alluvium Dao LARP Sword bear scars from the magic that tore them from their home plane on their blade. This magical essence makes them more powerful, and more mysterious, than any blade on Earth. 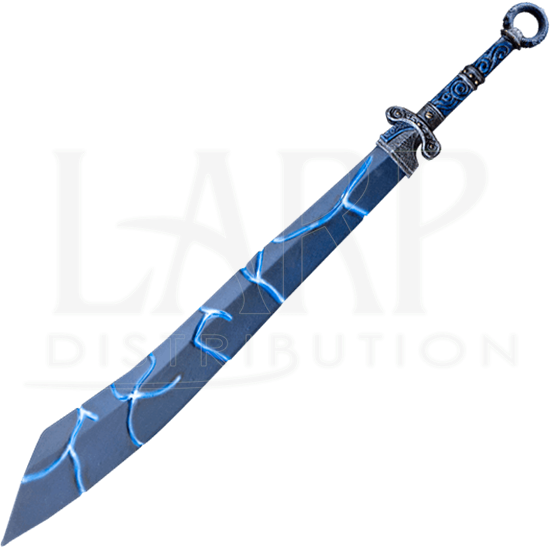 Made from closed cell foam that encases a flexible fiberglass core, the blade of this fantasy weapon has been hand painted a deep blue-gray and is carved with electric-blue cracks. 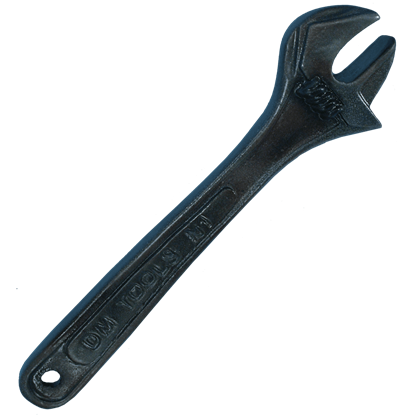 A Kevlar tip protects the wide point of this weapon from accidental puncturing. 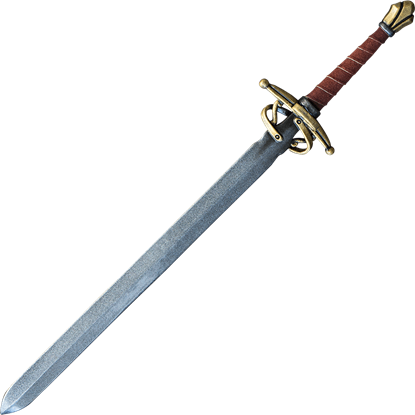 The hilt of this blade has been hand painted to resemble iron with a rich blue handle and pommel. Add this foam latex broadsword to your LARP gear and bring a spark of magic to your warrior! 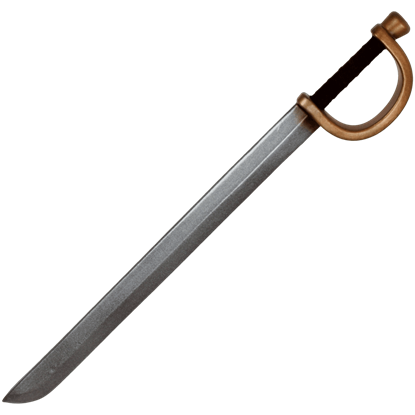 The Alluvium LARP Dao Sword has an overall length of 39.4 inches. Please be aware that this measurement can vary slightly, as it is a hand-made item. 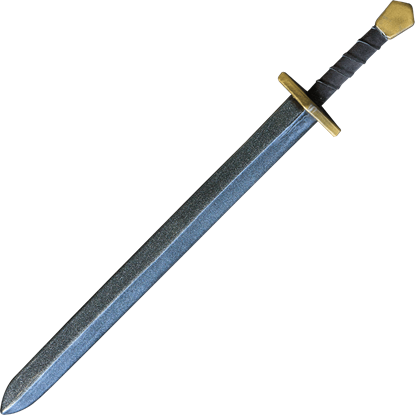 Our Simple LARP Sword is from our Ready for Battle line. The Ready for Battle line is a less costly line that is durable, but is not as detailed as our other lines, making them affordable and great for beginners or smaller budgets. Our Pirate LARP Sword is from our Ready for Battle line. The Ready for Battle line is a less expensive line, that is still durable and made of quality foam. This Pirate Sword features a cutlass styled blade and a cupped hand guard.